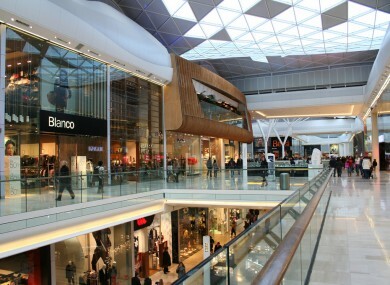 Westfield London Shopping Centre was one of his bombing 'options'. A MAN WHO allegedly asked Twitter users for their thoughts on whether he should bomb a shopping centre or the London Underground has gone on trial in the UK..
Mohammed Rehman, 25, used the Twitter name Silent Bomber with a profile picture of the militant known as “Jihadi John” and is said by prosecutors to have had a “keen interest” in the Islamic State group. Rehman, 25 and from Reading, west of London, is on trial at London’s Old Bailey court accused of preparing terrorist acts and possessing an article for terrorist purposes. His wife Sana Ahmed Khan is also charged preparing terrorist acts. As Rehnab was arrested, police also seized more than 10kg of urea nitrate. The accused had allegedly tested explosives in his back garden. “Given his prior knowledge, experience and the ready availability of the chemicals, the manufacture of a detonator would have taken no more than a couple of days and could have been done by him much quicker if he chose to,” prosecutor Tony Badenoch told the court. Email “Would-be bomber 'asked Twitter if he should bomb a shopping centre or the Tube'”. Feedback on “Would-be bomber 'asked Twitter if he should bomb a shopping centre or the Tube'”.